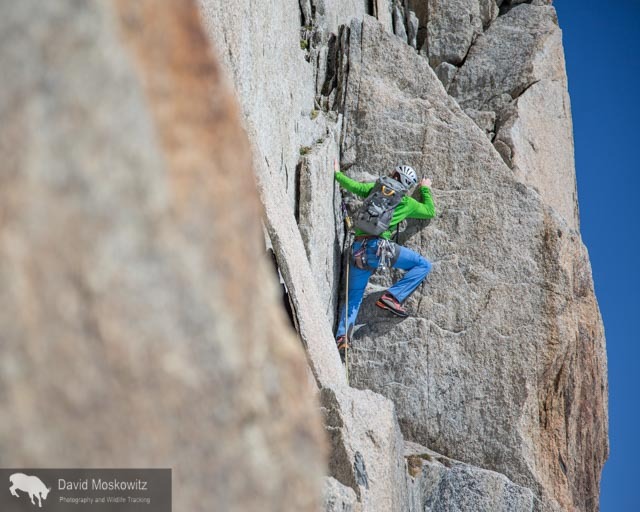 I have been lucky enough to spend the end of August climbing in the French Alps out of the town of Chamonix with my friends Erin Smart and Forest McBrian, owners and guides for Borealis Mountain Guides. 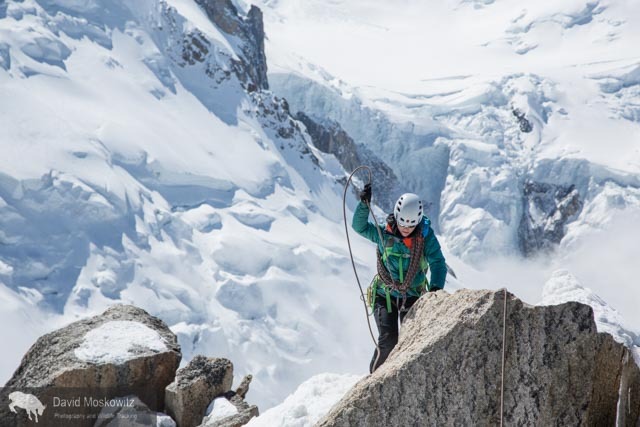 Erin, who has been skiing and climbing in the French Alps since she was a teenager provided me with a brilliant introduction to the climbing culture of the area. Having known Forest for many years and his love of all things related to the art of Alpinism and most things French, it was a pleasure to finally experience the mountains which I had heard about from his stories--mountains which have inspired generations of world class alpinists including Forest (whose exploits include first ascent mountaineering routes and first descent ski mountaineering routes, as well as a burgeoning writing career including a recent article in Alpinist on the famed Pickets Range in the North Cascades). Having come of age in the mountains of western North America, reading about the exploits of John Muir and Fred Becky, I always assumed that suffering through long approaches, doing battle with dense brush, brutal mosquitoes, crossing raging snowmelt filled creeks was part of the entrance fees for access to the splendor of the high mountains. Here in Europe, there is a bit of different sensibility. Approaches are manicured, ladders and footholds are added to the landscape to expedite travel, cable cars provide access from the valley bottom to the heart of the glacier in minutes, beautiful helicopter serviced mountain huts await with wine or tea to be had on the deck at the end of a day of climbing followed by 3 course dinners and a cozy place to spend the night. And just beyond the hut, or the exit from the lift, lays some of the most stunning mountain scenery and stellar alpine climbing routes of anywhere in the world. 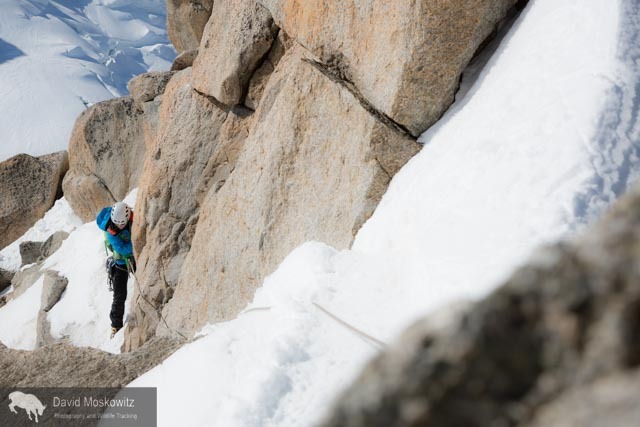 Erin Smart heads out on the snow arete leading away from the Aguille du Midi. Amazingly enough this photo was taken just a few meters from where the lift drops tourists, climbers and skiers off, leaving right from the town of Chamonix. 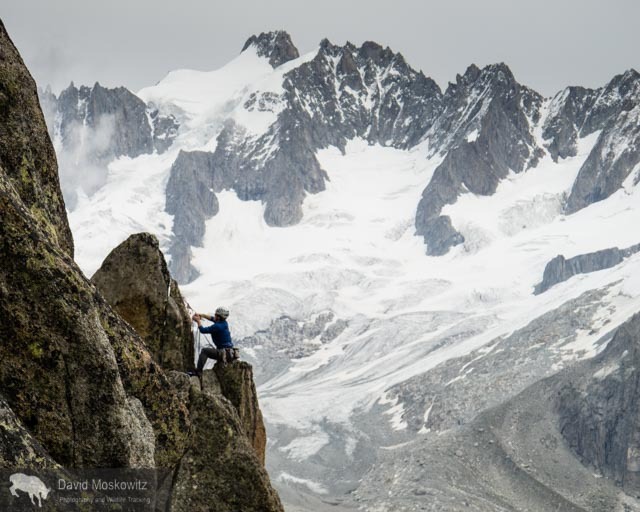 One minute I was on the street eating a fresh pastry from a local bakery and 15 minutes later I found myself in some of the most stunning alpine terrain I have traversed in my life. 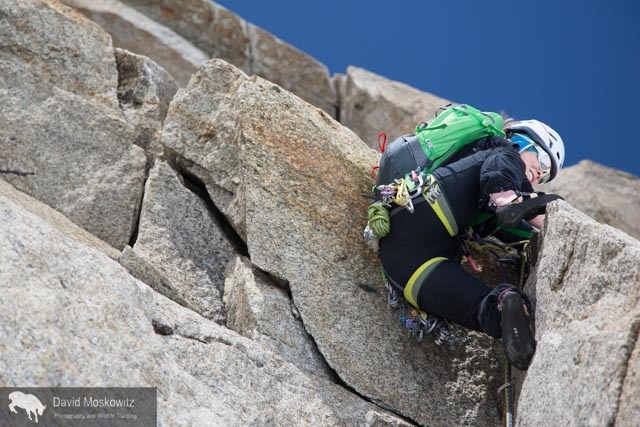 Erin navigating fresh snow on the Cosmiques arete, a classic climbing route on the west side of the Aguille du Midi. Erin smart leading out on mixed terrain. 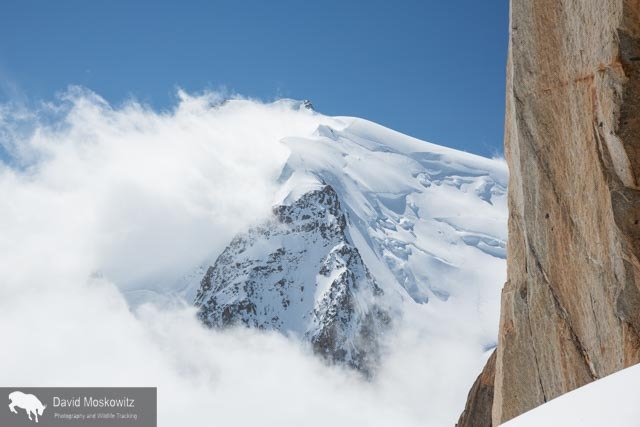 At 4810 meters (15,781 feet), Mount Blanc is the highest peak in the Alps. Clouds stream off of the lee side of the heavily glaciered peak. The Mere de Glace glacier flows down off of Mount Blanc and the surrounding peaks. While still miles long, the thickness of the glacier has shrunk dramatically over recent decades…an example of the shifting climate in the region. Erin Smart on the trail into the Envers Hut, situated above the Mere du Glace. 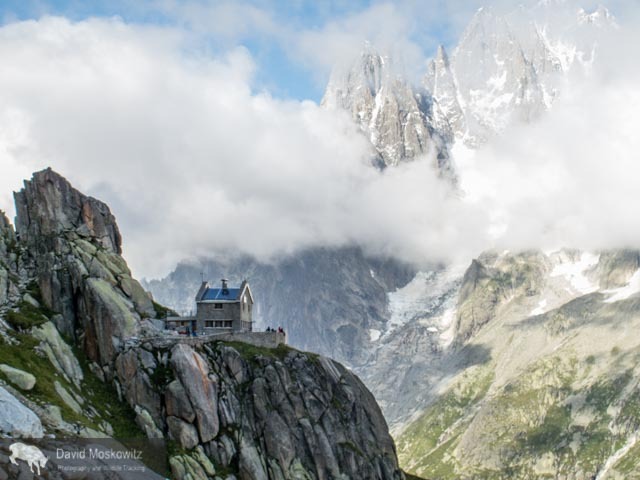 Situated in an almost fairy tale like setting, the Envers des Aguilles Hut, managed by the French Alpine club provides lodging and food for climbers. Mountain guide Miles Smart at a belay on a route above the Envers hut. Forest McBrian examines the Eperon des Cosmiques route before our ascent. Forest McBrian leading out on a traversing pitch lower on the route. Erin getting into the crux moves of the route, a series of cracks leading through a large roof. Erin pulling over another thoughtful move on the same crux pitch of the route. Forest wandering up through a series of cracks in beautiful granite towards the top of the route. The view from a belay stance on the route. Mount Blanc in the background.